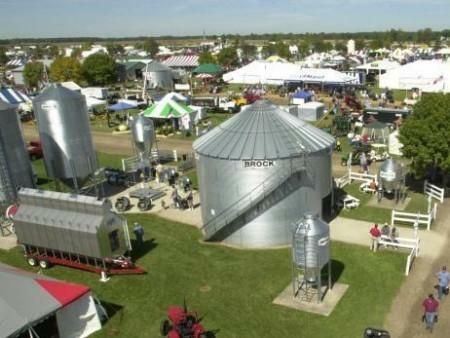 The Farm Science Review, one of the nation’s premier agricultural trade and education shows, will be held at the Molly Caren Agricultural Center in London, Ohio, September 19-21. New for this year’s 55th Farm Science Review, visitors will be able to “Map Your Show” on a new mobile app in preparation for the three-day event. The app will be available in app stores beginning in July. Visitors will be able to browse the interactive map and search for specific exhibitors or product categories. Sponsored by The Ohio State University’s College of Food, Agricultural, and Environmental Sciences, the Farm Science Review offers landowners, farmers and conservationists the opportunity to learn about the latest agricultural innovations in research. Tickets are $7 and will sell online at fsr.osu.edu. They will also be available at county extension offices and participating local agribusinesses beginning in July. Tickets can be purchased at the gate for $10 and children ages 5 and under are free. “Visitors will be able to see over 4,000 product lines exhibited by 640 exhibitors,” said Nick Zachrich, Farm Science Review Manager. More than 120,000 usually attend the event. Educational presentations, demonstrations and displays are ongoing throughout the three days, said Zachrich. Research tours on water quality, nutrient management and other topics in partnership with Ohio State and Beck's Hybrids will be available. Visitors seeking credits for Certified Crop Advisors (CCA) or pesticide application recertification should check the event schedule or watch for press releases in August and September, said Zachrich. Shuttle wagons will be leaving from the west end of the show site throughout the day to transport visitors to the Gwynne Conservation Area where there will be a focus on wildlife, woodland and aquatics educational opportunities, as well as a streambank protection installation. Shuttle wagons will also take visitors to a variety of field demonstrations featuring different agronomic operations. Demonstrations include drainage installation, UAV's (unmanned aerial vehicles), cornstalk baling and much more, said Zachrich. Starting in late July, the digital directory for the Farm Science Review can be found on the website, said Zachrich. The digital directory is the online version of the app.